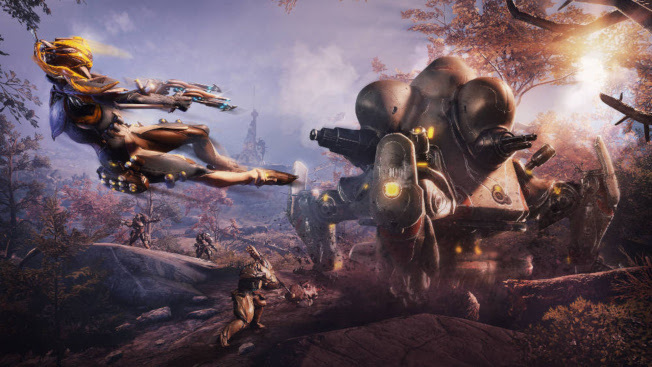 Today, the remaster of Warframe‘s Plains of Eidolon is available on PlayStation 4, Xbox One, and Nintendo Switch, bringing a full graphical overhaul to the console systems. The update brings the same graphics technology used in Fortuna to Plains of Eidolon, adding dynamic lighting, textures, and more. The terrain has even been resurfaced to better accommodate the K-Drive Hoverboard. In addition to the graphical changes, the remaster also adds new terrain for players to attempt K-Drive tricks on as well as new enemies. Players can even earn a new badge for hunting and conserving three new critters on the Plains. The update is available for download on all three consoles as of today. So players can hop right in and enjoy.